UW-Madison says: Since September, many people have taken interest in a University of Wisconsin–Madison study on the impact of early life stress on young rhesus monkeys. Thousands have added their names to a petition on the website change.org, calling for an end to the work, and we appreciate and share their concern for animals. In fact, interest in and criticism of this project has been on going since early in 2012, when the Madison-based animal rights group, the Alliance for Animals, reviewed the minutes from one of the two animal care and use committees that evaluated and eventually approved Ned Kalin's project and began a campaign to stop it. Lori Gruen, Professor of Philosophy and Director of Ethics in Society at Wesleyan University criticized the project on September 14, 2012, in a public speaking event sponsored by UW-Madison at its much-hyped biomedical science cathedral, the Wisconsin Institutes for Discovery. 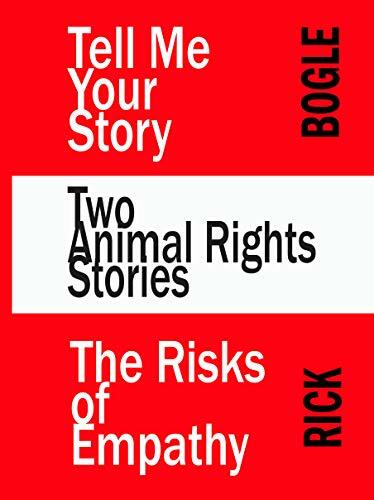 In May of 2013, the project was the topic of another event on campus, "The Ethics of Animal Experimentation: A conversation between bioethicist Rob Streiffer and research critic Rick Marolt." The large room was crowded with interested people. It was in September of this year that UW-Madison took more notice of the criticism because the project finally came to the attention of many more people when (after two years of prodding) Madison's weekly newspaper, Isthmus, put the story on its cover: Motherless monkeys: UW-Madison to revive controversial primateexperiments: Researchers will deprive infants of maternal contact to studyanxiety and depression. Noah Phillips on Thursday 07/31/2014. UW-Madison says that it shares with the nearly 350,000 people who have signed the change.org position, "their concern for animals." I doubt it. UW-Madison says: But we don’t appreciate the way petition’s author, Dr. Ruth Decker, misrepresents the research. By piling up mistakes, myths and exaggerations, and omitting important information, she asks well-meaning people to speak out with little understanding of the real science and the long, deliberative process through which it was approved. Petulant and condescending. What they really don't like are those 350,000 well-meaning people who have little understanding of the real science. The Real Science. Mistakes, myths, exaggerations, and omissions? 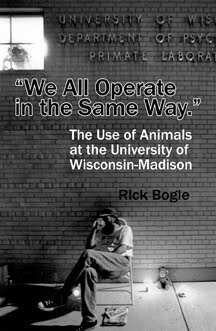 UW-Madison's mistakes, myths, exaggerations, and omissions of information concerning its use of animals is legendary. The long deliberative process UW-Madison refers to is a discussion, usually perfunctory, among a group of people whose livelihoods depend on the continuing flow of the tax dollars that pay for experiments on animals. The committees are required to have a member who is not affiliated with the institution. In practice, among the dozen people sitting around the table, one or two of them will be non-affiliated members. All the others are usually financially dependent on NIH grant monies. But this project did get held up. Even some vivisectors thought it was extreme. A very rare phenomena. UW-Madison: The truth is of little concern to activists who wish to end animal research, no matter the benefit to humans and animals. We don’t share that sentiment. We prefer people make their judgments on animal research with a fuller understanding of the research — of both its costs and potential benefits. I'm no psychologist, but this appears to be a projection of UW-Madison 's self-image onto those it thinks of as the enemy. The truth is poison to UW-Madison . UW-Madison has destroyed large many records regarding their experiments on animals to keep them out of the public eye. They apparently don't want the public to be able to become informed. Even here, when UW-Madison says that they prefer people make their judgments with a fuller understanding of the research, why didn't they provide a link to the approved protocol? Why not encourage people to read it themselves? Here's a link to the protocol; it is available to the public only because UW-Madison's critics think the facts matter. UW-Madison: This is not a repeat of experiments UW–Madison psychology professor Harry Harlow conducted as many as five decades ago, some of which subjected animals to extreme stress and isolation. This is a half truth. Harlow did conduct experiments similar to these, sans any claim of some possible new drug emerging from it. He reported on the behavior of monkeys raised in nearly identical ways: pulled from their mothers at birth, put alone into a cage until able to self-regulate their body temperature, and then put with another infant the same age. He published photographs of them clinging to each other. UW-Madison: The methods for the modern work were selected specifically because they can reliably create mild to moderate symptoms of anxiety in the monkeys. They were chosen to minimize discomfort for the animals, and to minimize the number of animals required to provide researchers with answers to their questions. And those questions are? They don't say, in spite of their stated desire that people have a fuller understanding of the research. This is the question: what patentable gene sequence might be a precursor to some part of some neurochemical pathway associated with some form of mental illness? That really is it. All their other claims are just window dressing. As far as the reliable creation of mild to moderate anxiety, that's not really what they are doing. No one seeing human children behaving as Kalin expects the young monkeys will behave would describe them as being mild to moderately anxious. In fact, the American Psychological Association says that mild to moderate anxiety in humans can be helpful. They say that that's what we feel "When you're driving in heavy traffic or struggling to meet a deadline." The idea that the feelings I have in heavy traffic are very much like what infant monkeys raised first in solitary confinement and then with a similarly traumatized male infant in a small cage, is ludicrous. The American Psychological Association goes on to give examples of genuine anxiety disorders and notes that: "Fortunately, there is effective treatment for anxiety disorders." More evidence that the university isn't accurately describing Kalin's project. UW-Madison: There is no “solitary confinement.” The animals live in cages with other monkeys of their own age, a method of care called peer rearing. This method is often used when mothers reject their infant monkeys, which happens regularly in situations from nature to zoos to clinical nurseries with first-time mothers or following caesarean-section births. Complete gibberish. The baby monkeys are confined alone for the first 4 to 6 weeks of their lives. In normal circumstances they would be clinging to their mothers, being fondled, inspected, and cleaned by them, in constant contact. Infant monkeys and infant humans have very different psychosocial needs when they are very young. Infant humans benefit from regular touch whereas infant rhesus monkeys have a profound need for contact. It is easy to understand this difference when considered from an evolutionary perspective. Humans, like cats and dogs, are atricial; we are born at an earlier developmental stage than many other animals and are nearly helpless and not very aware of our surroundings. Rhesus monkeys on the other hand must cling to their mothers very soon in order to survive. They are more developed, physically and cognitively at birth than are humans. The trauma to them from being taken from their mothers has no counterpart in humans. After 4 to 6 weeks they are caged with another infant of the same age and similarly maternally deprived. The university says, "The animals live in cages with other monkeys." No they don't. Two babies are in a cage. No infant is caged with "other monkeys." UW-Madison says that peer rearing "happens regularly in situations from nature to zoos...." That's ridiculous. Two motherless infants can't raise each other. Nothing like this ever occurs in nature. UW-Madison must think the people reading their nonsense will believe anything. And zoos go to great lengths when monkeys are orphaned in an effort to ameliorate the well known impacts of being orphaned. In the Kalin project, the vivisectors intentionally don't employ the techniques that are known to lesson the negative impacts of peer rearing. The serious consequences of peer rearing are known widely by those who raise monkeys in the laboratory setting. "Nursery rearing is the single most important risk factor in the development of severe forms of abnormal behavior, such as self-biting, in rhesus macaques. This practice is common in research laboratories and typically involves continuous pair housing of infants without maternal contact." The effects of four nursery rearing strategies on infant behavioral development in rhesus macaques (Macaca mulatta). Rommeck I1, Gottlieb DH, Strand SC, McCowan B. J Am Assoc Lab Anim Sci. 2009 Jul. They may as well have claimed that dancing fairies come at midnight and entertain them. I suspect that every time one of the infants is pulled away from what or whomever they are clinging that the emotion they experience is very much terror. In fact, when not trying to score PR points, UW-Madison agrees that the baby monkeys are terrorized. In 1998, UW-Madison wrote about Ned Kalin's experiments and said, "Being separated from mother terrifies infant primates." As far as relentless torture, torture seems to be a plastic concept in the hands of government. Can torture be psychological? It seems to me that social and environmental deprivation could be torturous. If so, then it seems that from the babies perspective, they could be experiencing relentless torture. And certainly, the repeated separations will be torturous experiences. And the procedures they will be subjected to are intended to add to their distress. UW-Madison: Most of their time is spent as a house pet would spend its days — grooming, sleeping, eating and playing with toys, puzzles and other animals. Who keeps their house pet in a small cage 24 hours a day, every day? I'm sure they do pick at themselves, but at their age, their mothers would be grooming them. And they do eat and sleep. But the claim that they play with toys, puzzles, and other animals is very misleading. In the wild, monkeys don't seem to have toys or play with things as if they are toys, so calling some object put into their cage a toy, is misleading. The monkeys are not sitting around solving puzzles either. Monkeys kept in standard laboratory cages are prone to developing a number of aberrant behaviors, which for some monkeys can include self-inflicted trauma. It was discovered that these often deleterious behaviors can be moderated or reduced if the monkey's attention can be kept engaged. Puzzle feeders are now a common item in the monkey labs. Their kibble is put into a device that makes it difficult to get to. A monkey must work to retrieve a piece. That's nothing like someone playing with a puzzle. This is the second time in their response that they say the monkeys are with, and now get to play with, other animals. This is like you being kelp in a prison 24/7 with a cell mate, and me telling someone concerned for your well being that you get to be with people. UW-Madison: On occasion, to assess the monkeys’ level of anxious temperament, they are observed under two anxiety-provoking conditions. The first involves the presence of an unknown person who briefly enters the room, but does not make eye contact with the monkey. The second involves the monkey being able to see a snake, which is enclosed in a covered Plexiglas container in the same room, but outside the monkey’s cage. This makes it sound like the monkeys will have only two anxiety producing experiences. But of course, they will really have many more. Let's count them. We can see a sort of timeline in a chart showing the planned procedures early in this video. The chart predicts that all the manipulations, imaging, and tissue collection will be complete before each monkey's 60th week of age. They will be killed at some unspecified time, but according to the chart, they will no more than 80 weeks old. During that 60 week period, beginning the moment they are pulled from their mothers, each monkey will undergo: 7 human intruder tests; 5 MRIs; 9 blood draws; 5 PET scans; 1 skin biopsy; 2 spinal taps; 1 exposure to a snake; be exposed to an unknown monkey 2 times; and be observed in a "play cage" 2 times. When they are about 25 weeks old, they will be taken from their cage mate, and placed with a new monkey (who has undergone the same procedures). Some of those events happen on the same day. The human intruder, blood draw, and PET scan all occur in immediate succession on the same day. Overall, the monkeys will be manipulated in some way every week. Their separation from their original cage mate must be a particularly stressful experience. Many of the procedures will entail being taken from their cage mate. These repeated separations are likely to exacerbate the separation anxiety the monkeys may experience. Together, this host of experiences seems much different from UW-Madison's glossed over description of what will happen to the babies in their response to Dr. Decker's petition. UW-Madison: The stress the monkeys experience is comparable to what an anxious human might feel when encountering a stranger or a snake or a nurse with a needle. That's more meaningless gibberish. How does an anxious person behave and feel? There are people who are so anxious that they can't leave their home. They might faint if confronted by a stranger. I took an on-line anxiety test at Psychology Today. It said I have "Existential Anxiety." I like snakes. Strangers? For me it depends on the context. All anxious people have the same reactions to a stranger, a snake, and a nurse with a needle? What silliness. Hardly scientific. UW-Madison: No one was “left out” of the review by UW–Madison oversight committees. Several university committees spent a great deal of time assessing Dr. Kalin’s anxiety research, and each committee found it to be acceptable and ethical. Context matters here too. Those committees approve essentially every project they consider. It isn't a surprise that they approved this one. What is surprising, what is a complete and novel departure from business as usual, is the fact that someone embedded in the system said no. They gummed up the works and stalled the project; its eventual approval was probably never in doubt. Essentially every project gets approved, and Ned Kalin is a powerful senior administrator and researcher. And, the committees didn't decide that the experiments are ethical. There is noting in the very limited committee minutes suggesting that any ethical analysis took place, but that is as expected. There are no committees at UW-Madison or at most other labs in the US that make ethical decisions about the use of animals. The IACUC Handbook (2nd Edition. CRC. 2007) notes that the committees are not able to make ethical evaluations. The committees decide only if the planned use of animals complies with federal regulations. If it does not, the committee explains to the researcher what must be changed to gain approval, and at times even provides prewritten responses for use on the forms. UW-Madison: These were groups of researchers, veterinarians and public representatives tasked with considering animal research on ethical grounds, and with ensuring potentially beneficial research will subject the fewest animals to the least invasive measures. If true, the university has invented a new kind of committee. But their ersatz balm doesn't ring true to me. I have reviewed the minutes of many years of three of UW-Madison's animal use committees, two of which are the ones that approved Kalin's new project. I have seen little if any evidence that the committees ever engage in discussion about the ethics of a particular project or the enterprise at large. But again, that isn't surprising because the committees are not charged with making ethical determinations by either NIH or USDA, the two main federal agencies involved in the oversight of animal experimentation. "[P]otentially beneficial" is justification for just about anything. Every lottery ticket is a potential winner. UW-Madison: As the petition notes, an animal rights group took allegations about the committee process to the U.S. Department of Agriculture. What the petition does not mention is that USDA conducted an investigation in August in response to that complaint. Inspectors found the complaint lacking merit, and the process to be entirely within compliance with federal regulations. No non-compliant items identified during this inspection. This was a focused inspection conducted on 8/25/14 and 8/26/14. Exit interview conducted on 8/27/14 with facility representatives. Regular observers of reports from USDA inspectors know that a different inspector might have found differently. In any case, the report says only that whatever the committee did was in compliance with animal welfare regulations. We don't really know what was said during the committee meetings because UW-Madison has taken steps to keep the public from learning the plain facts. And they are being sued because of it. What led to some observers imaging that there may have been a violation of some sort may have been the result of something called designated review. When a committee explains to a researcher what they need to do to make their project acceptable, it frequently defers further review by the entire committee and leaves the final approval a designated committee member. For members who were opposed to the project, consignment to designated review could have made them feel locked out of any opportunity to further their argument. UW-Madison: Most importantly, the petition repeatedly maligns the research as “needless” and “unnecessary.” We and many others think otherwise. Dr. Kalin, who treats human patients with anxiety and depression disorders, has worked for more than 30 years to understand both inherited and environmental causes of mental illness. His research was also reviewed and supported by panels of scientists at the National Institutes of Mental Health. Here's a look at the panel of scientists who reviewed Kalin's project. Well, when I look at the Ebola crisis, I see something else. In any case, the support for Kalin boils down to this: "NIMH has supported the research in the Kalin lab for many years." That's true, and they should be ashamed of it. 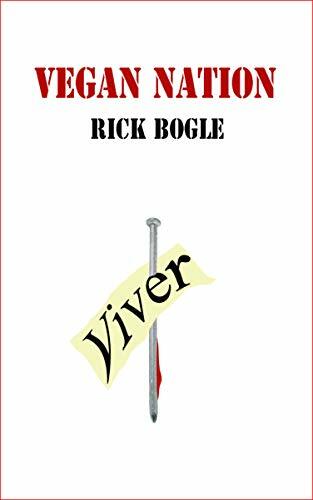 But shame isn't in the palette of emotions of most vivisectors and Tom Insel is no exception. 60 Minutes ran a piece on the Yerkes Primate Research Center, maybe 15 years ago. They showed sedated monkeys being thrown into the back of an open-bed truck as if they were sacks of potatoes. They also interviewed Tom Insel, who was at the time the director of the primate center. They asked him about monkey escapes from the primate center, and he said there hadn't been any. Then they interviewed a young girl, she was maybe five years old. She told about the monkey that had come onto the deck in their back yard. Insel had been caught in a blatant lie. Insel's opinion on animal research hardly matters since without it, he'd be out of a job. A small bit of trivia: Insel's own research was focused on the function of oxytocin in stressed mice and voles. UW-Madison: The decision to study animal models to understand human psychiatric disorders is not made lightly. Given the obscene amounts of money involved, they indeed take the matter very seriously. UW-Madison concludes with this: In this case, the human suffering is so great that Kalin, the National Institutes of Health and UW–Madison’s review committees believe the potential benefit of the knowledge gained from this research justifies the use of an animal model. But the people at NIH who approved the project are vivisectors too. They are financially vested in the continuation of the practice as is just about everyone at UW-Madison who has supported it. The potential benefit should be considered by weighing the proven benefits of Kalin's past research. But that metric isn't used by NIH or UW-Madison because there haven't been any benefits from Kalin's past research, and such a weighing would make it plain that the likelihood of benefit from his new project is nil. Rick, thank you so much for taking the time to so thoroughly cover UW Madison research. I had always thought highly of this premiere Institution until learning the facts and details behind the maternal deprivation study. I am so sad and disappointed the UW would be involved in such cruelty. Kalin's baseline is skewed before he even begins by creating Failure to Thrive syndrome in these infants to one degree or another. Thank you for your thoughtful peice. The fact that Kalin's work has not yet produced a single concrete positive outcome for humans is noteworthy. In addition as wildlife rehabilitators know, the survival rate for infant animals increases dramatically when a surrogate mother can be found. Quite the opposite of this so called research. The financial backing and support of cruel, unnecessary and quite frankly, ludicrous experiments on ANY animal in the name of "research" is strong evidence of how institutions in our world keep people under thumb and scare them into whatever beliefs they're pushing at the time. 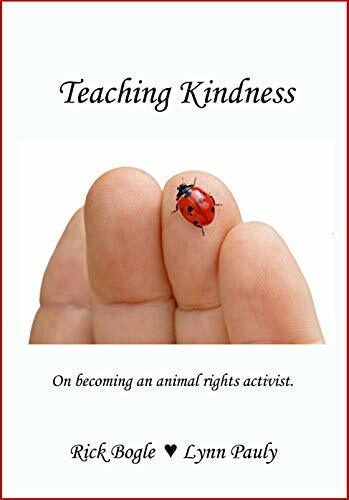 Instead of working towards - and looking for - POSITVE help for people who suffer, the unimaginable torture of innocent animals in the name of 'science' supports only NEGATIVENESS. It does, however, as Rick points out keep those deep UW pockets full. But I ask, what kind of forward thinking is vivisection in a world that seems to think humans are the most advanced beings?! It's not (duh). Even the smallest living being on the planet can work together for the benefit of the group better than we can. I'm ashamed to live in such a society - when will people wake up? Thanks, Rick, for your words. I attempted to call one of the numbers from the Change.org petition update. Their voicemails are shut down and not taking messages. Guess you're making an impression. Thought the dark ages of torture were over. But unsurprisingly, some humans find it impossible to believe what they do is horribly wrong. Thank you for your dedication- this is a cause I've felt deep in my heart since I was a young girl. Don't ever give up!